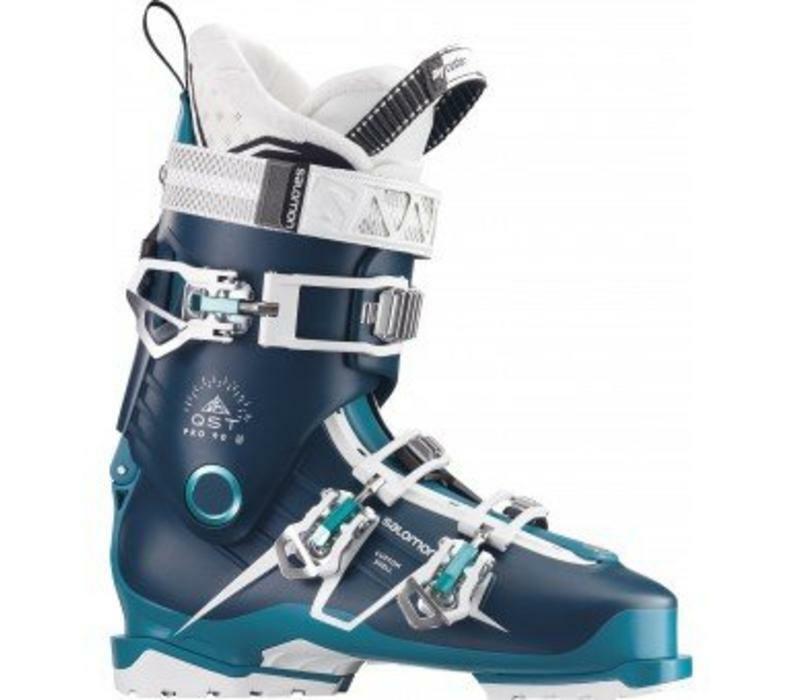 women's specific 90 flex ski boot. It's super lightweight construction makes this boot perfect for trecking around from the hotel to lift, lift to Bar with little fuss. Salomon has used a really nice comfy liner (3D custom fit liner) that is easy to heat mould to your foot so you get the possible foot to boot fit. The simple three buckle system is just as effective as the traditional four, it just means you save yourself two seconds. Walk to ride on some boots hasn't always seemed to make a great deal of difference when applied but on the Quest PRO boots it's really good, you can definitely tell the difference with a nice extra free movement when walking.